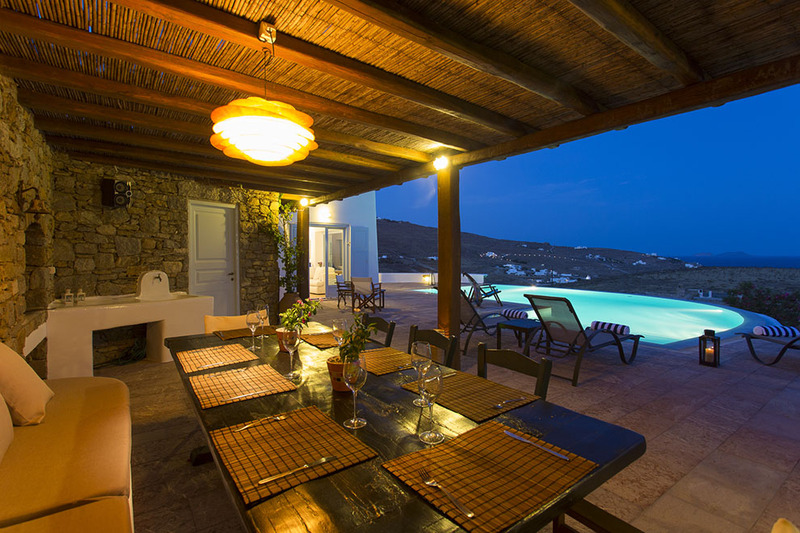 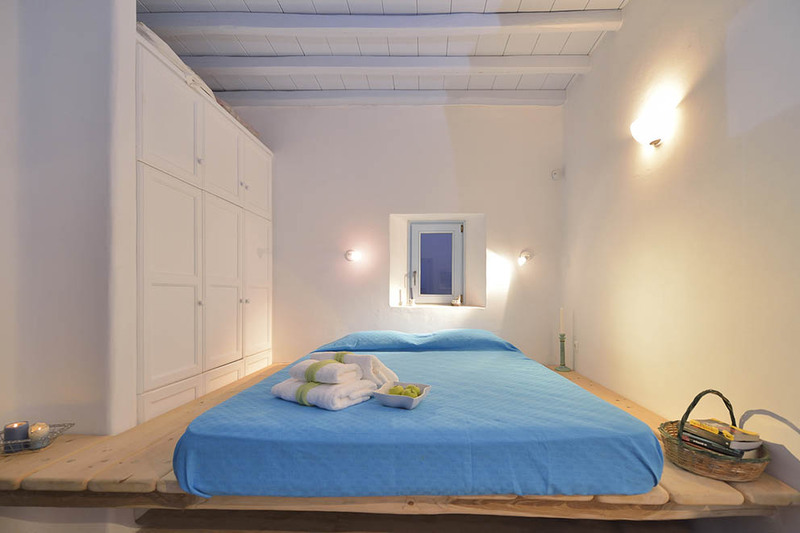 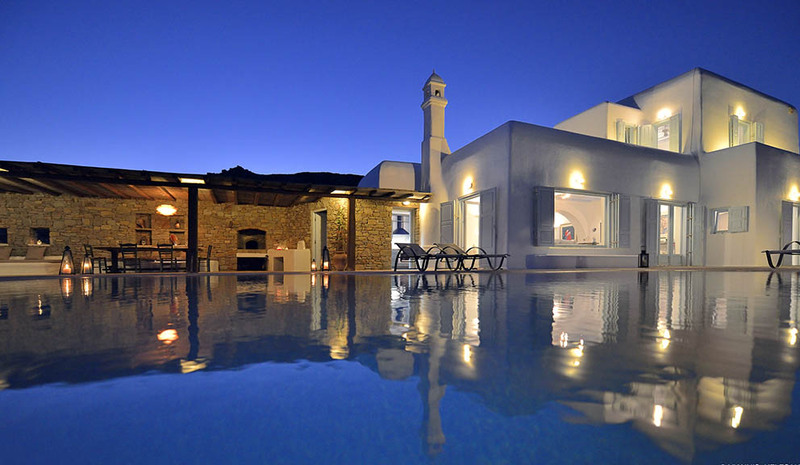 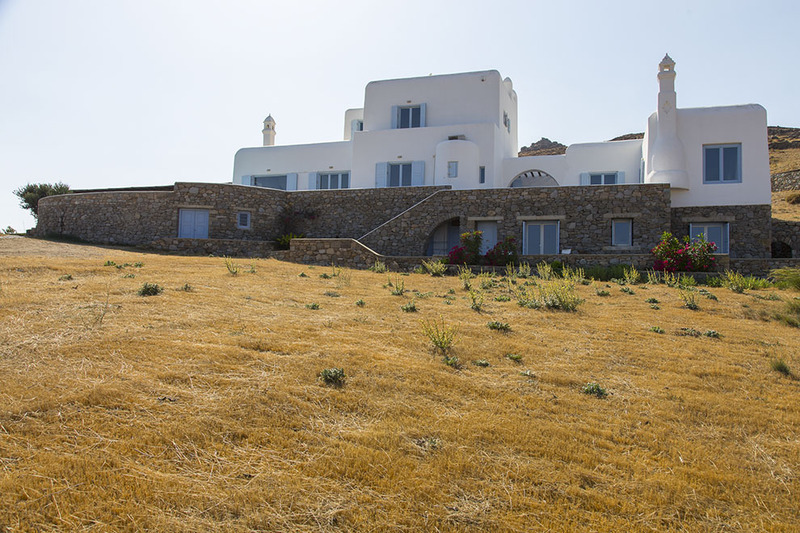 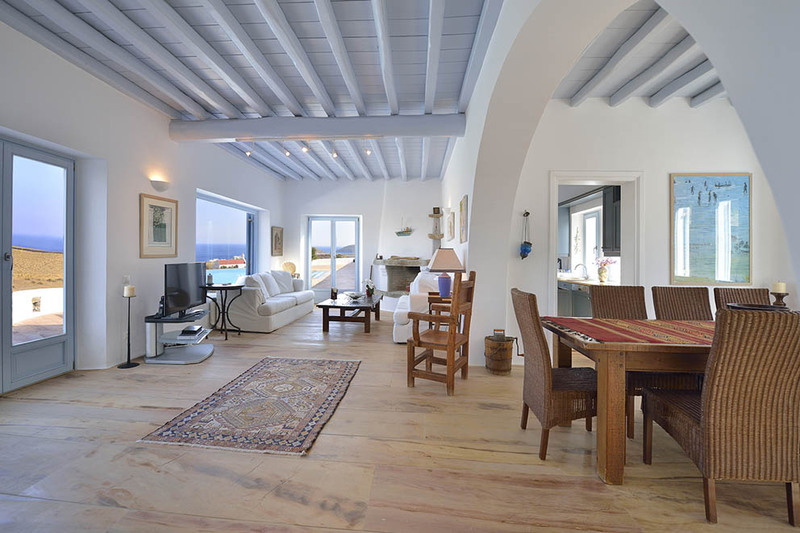 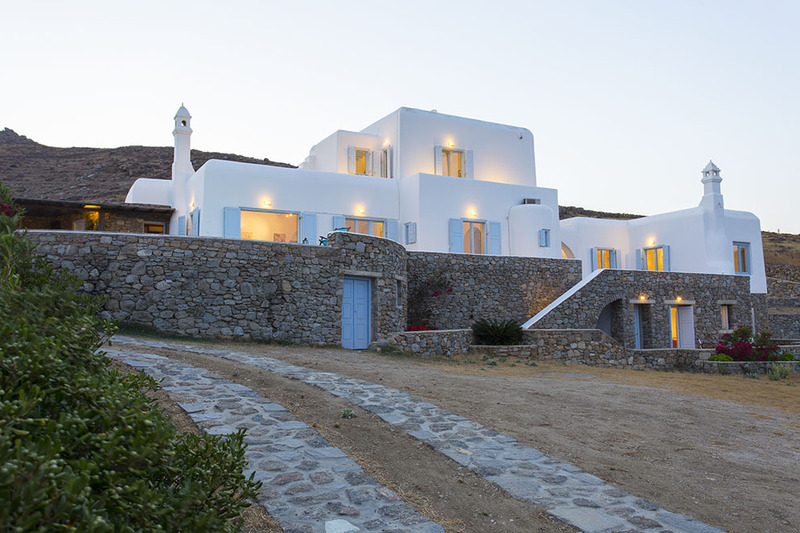 In the area of Lia in the south-east of Mykonos, is situated Villa Element in front of the beautiful beach Lia within walking distance. 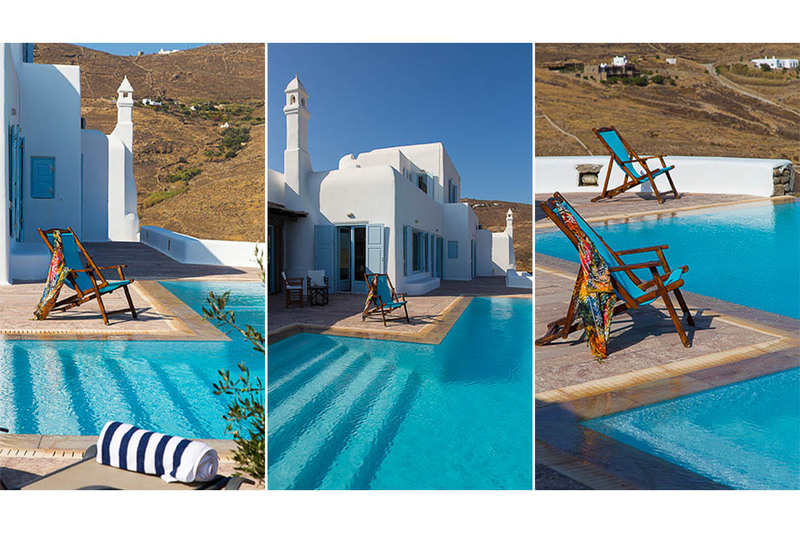 Located in this privileged spot where guests may visit in a really short distance the beached Kalo Livadi, Kalafatis and Elia, enjoying crystal turquoise waters, sea sports and extraordinary dishes at the traditional taverns and the cosmopolitan restaurants that adorn them. 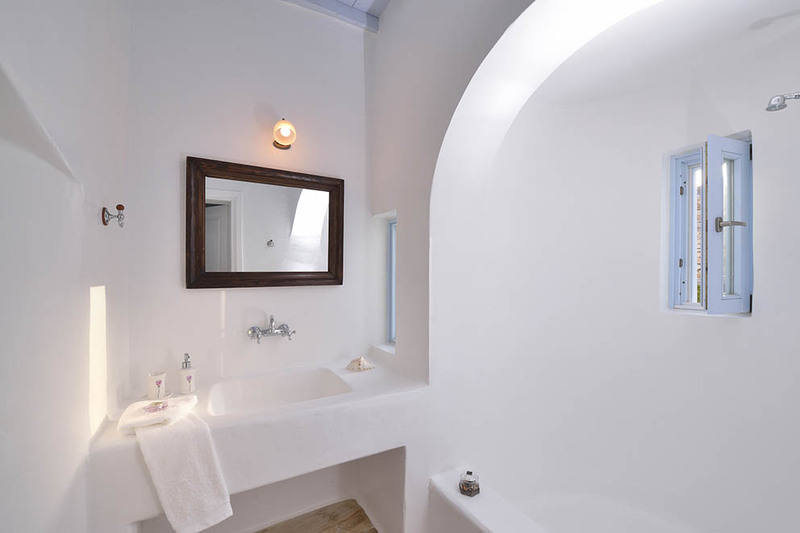 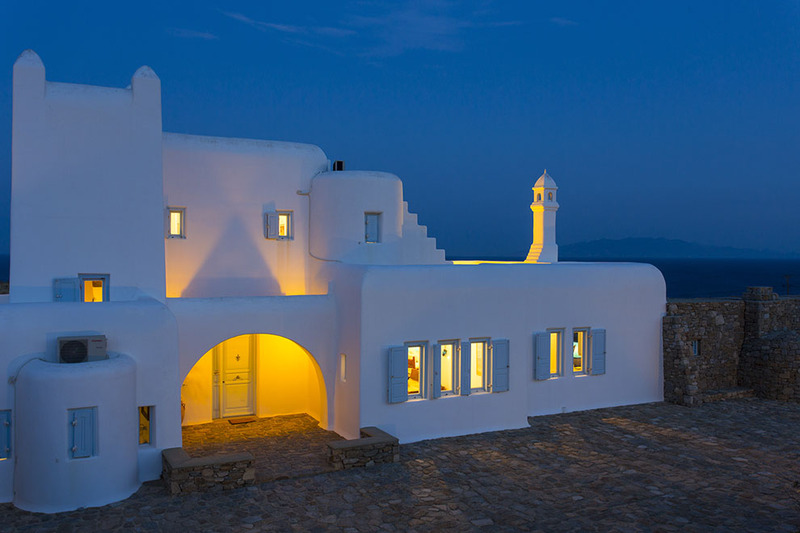 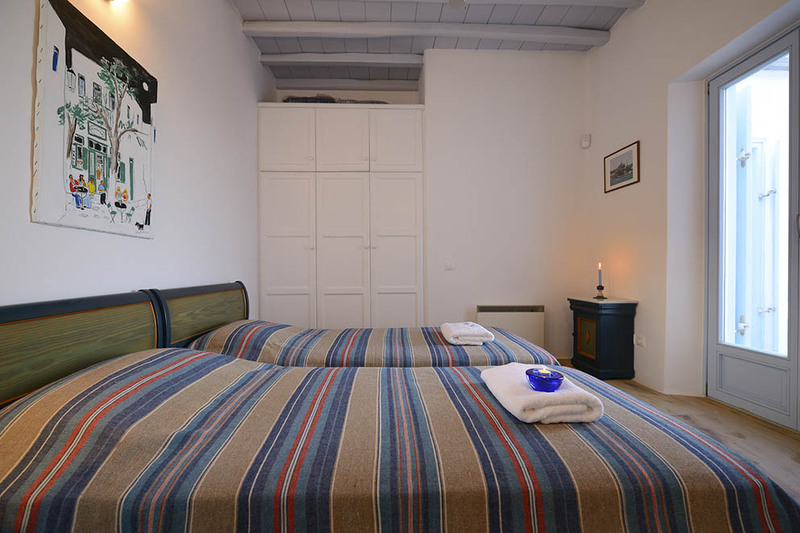 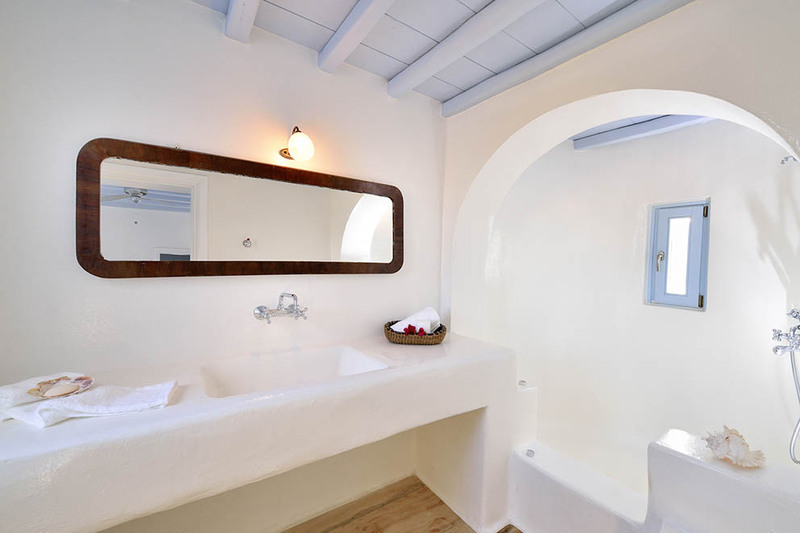 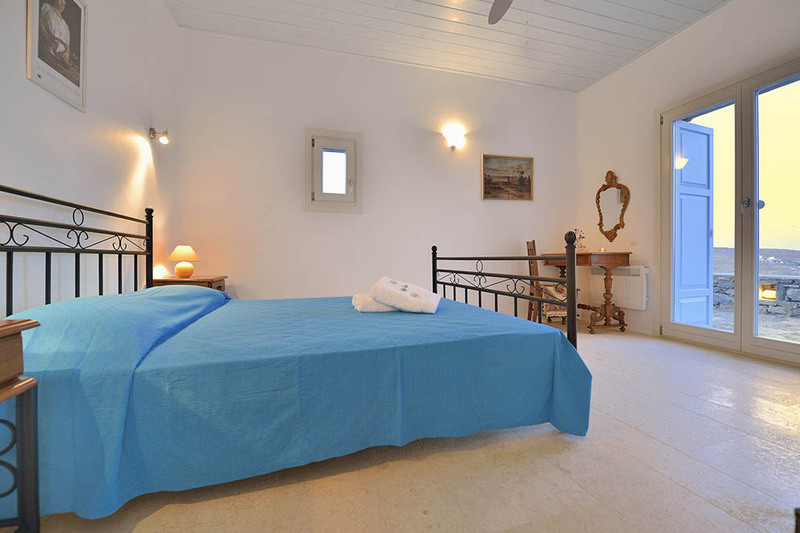 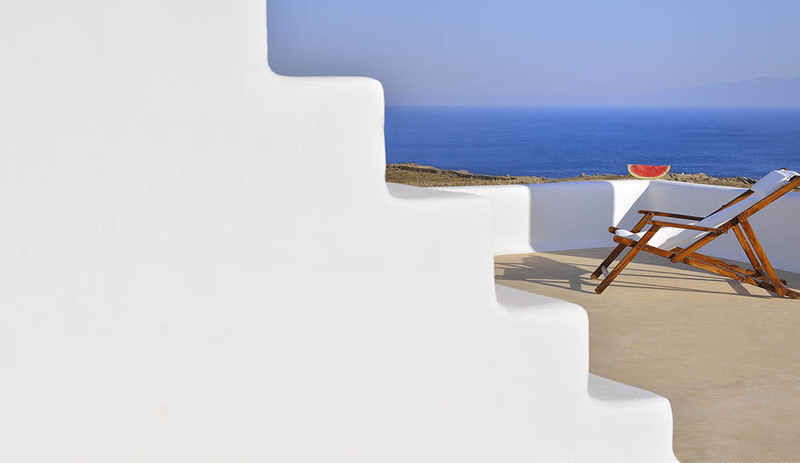 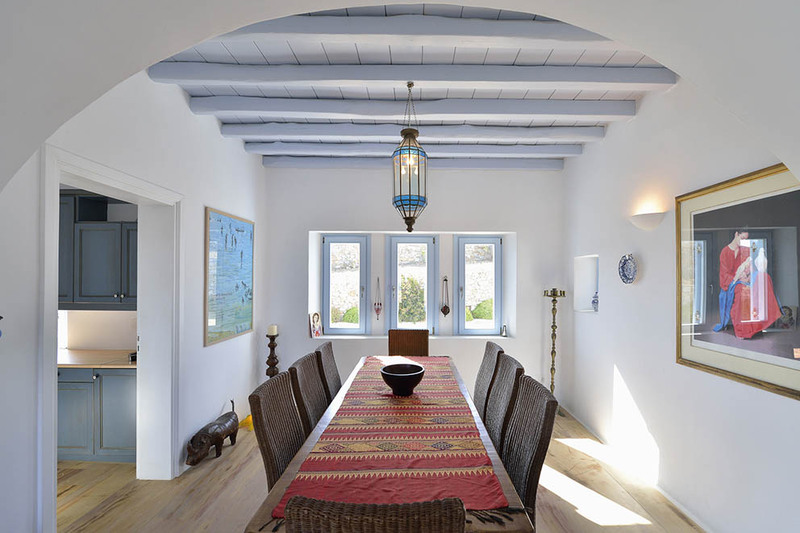 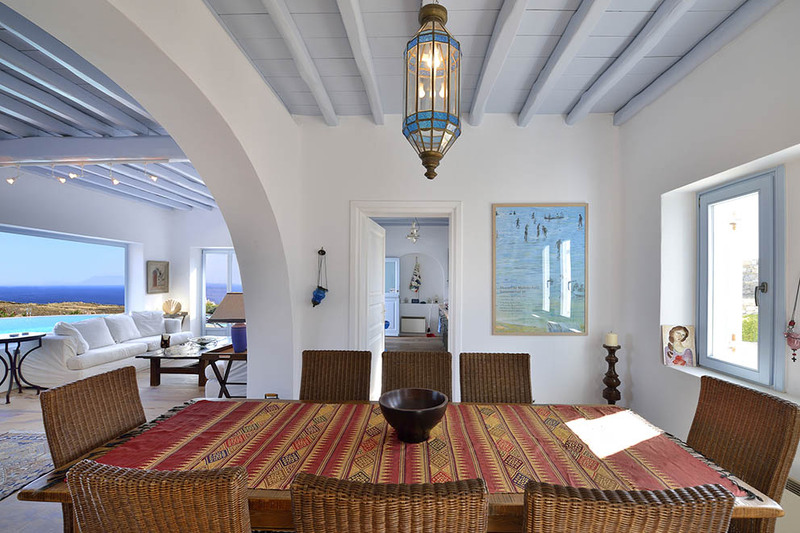 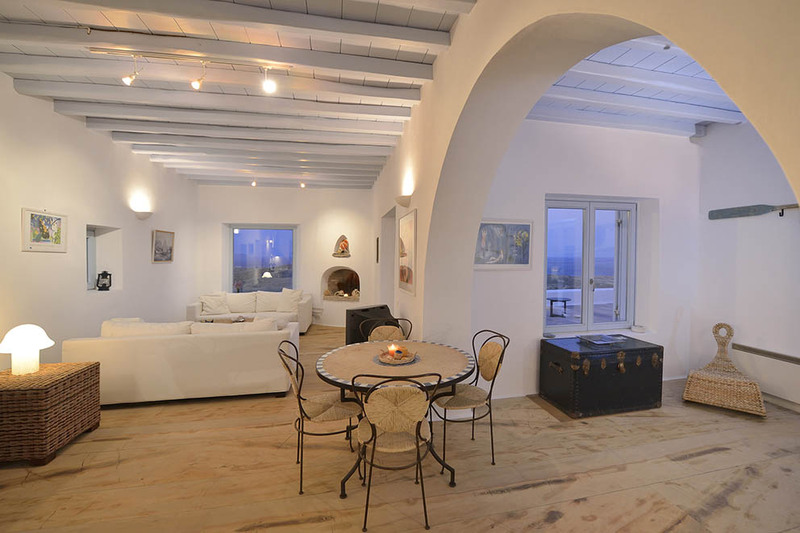 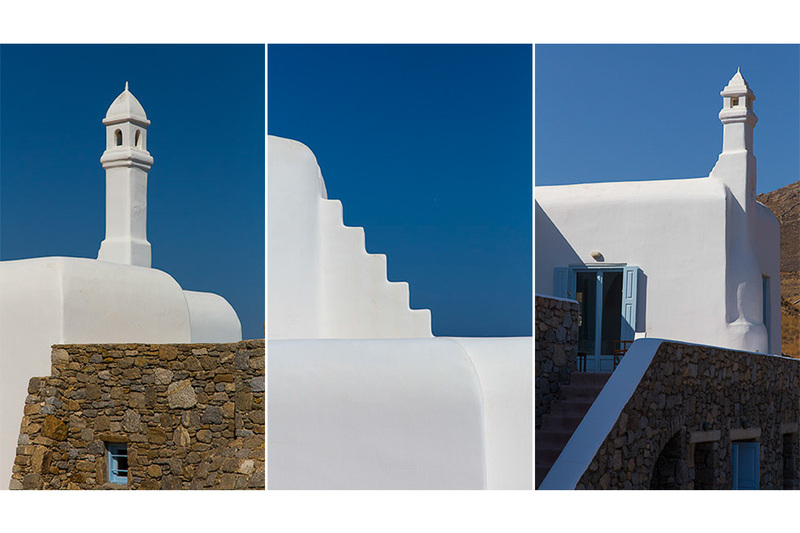 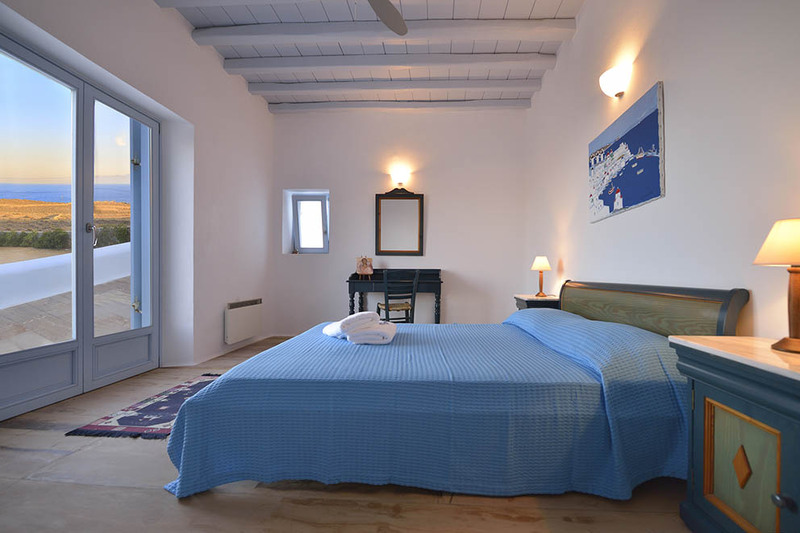 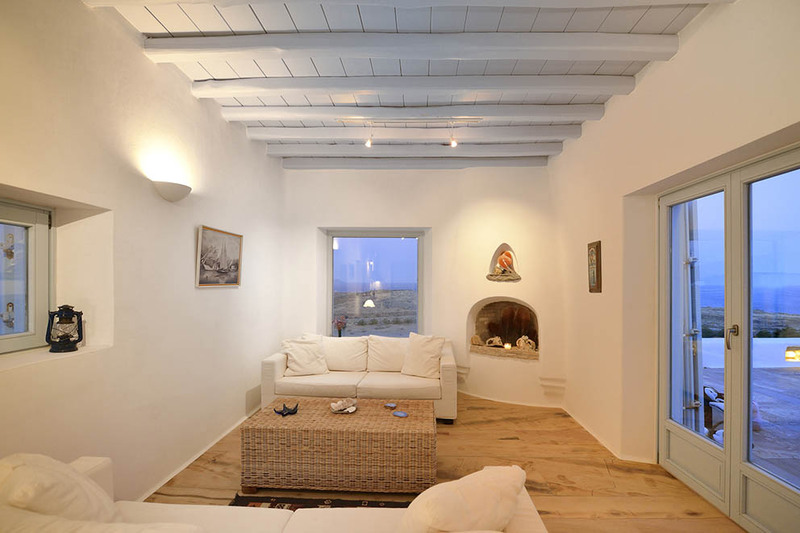 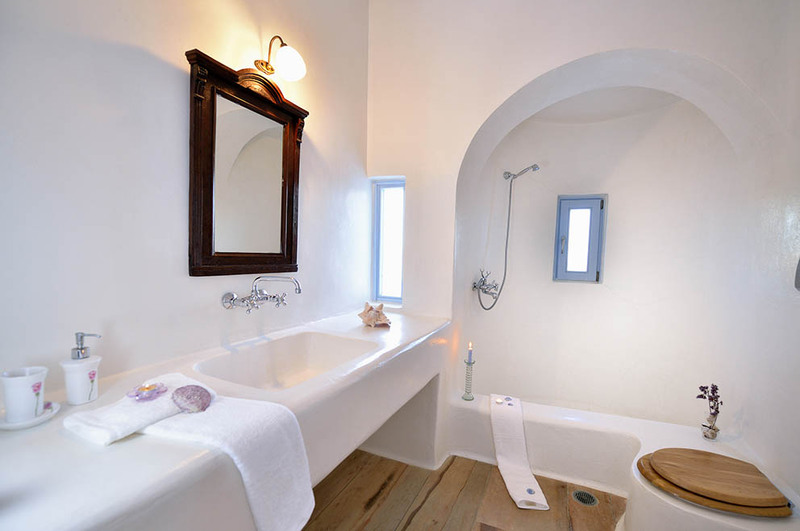 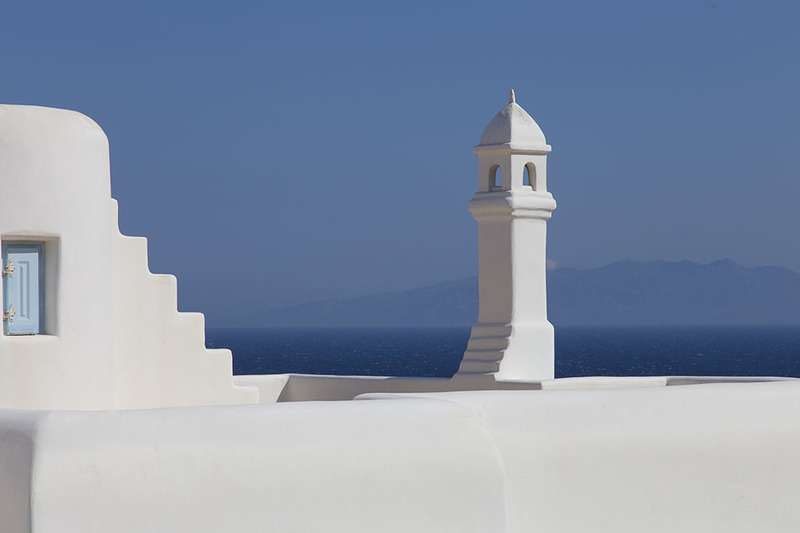 The Cycladic architecture of the villa is impressive, as it is perfectly harmonized with the natural environment, and adds its own charm to the beautiful atmosphere of the area, combined with white elements, traditional stone, marble floors, arches and wood beamed ceilings. 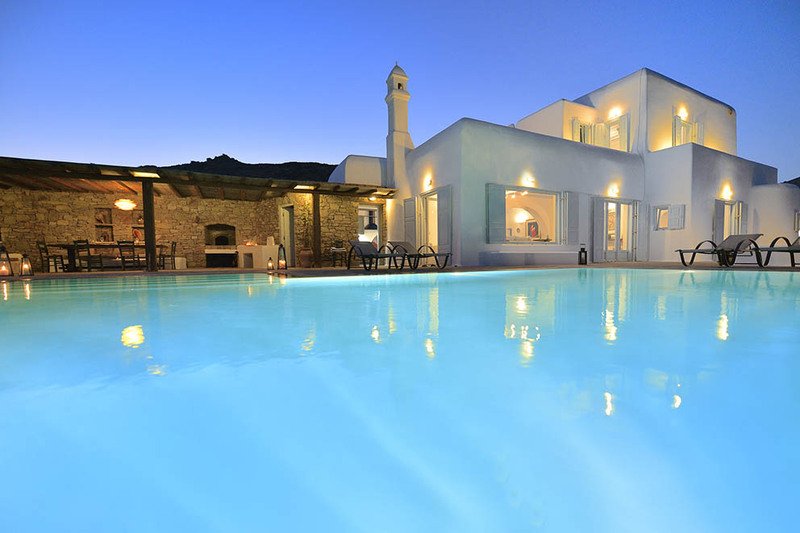 Large and elegant infinity swimming pool, separate pool bath and shower, spacious sun deck settings, beautiful shaded lounge area with pergola, comfortable sofas with cushions, sun beds and deck chairs, large dining table, BBQ, wood fire oven, superb view creates an ideal atmosphere for relaxation, tranquility, wellness, sunbathing within the Myconian idyllic views. 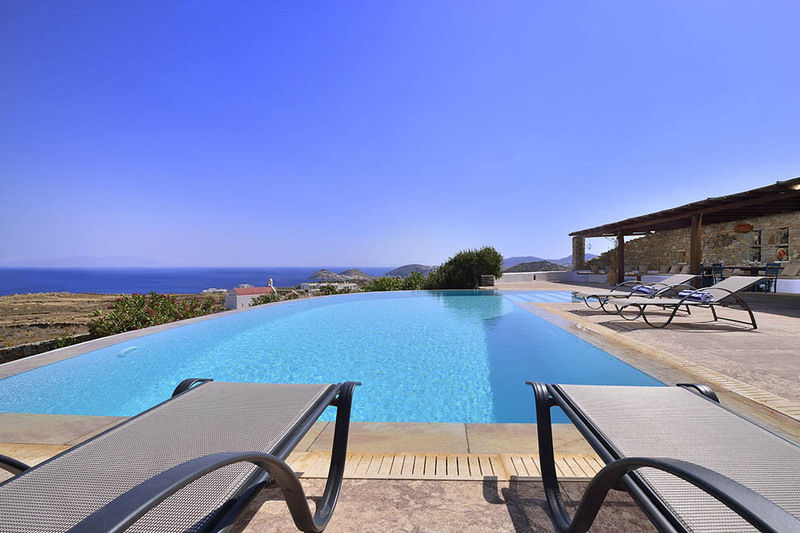 This amazing Myconian villa unfolds onto two levels in which all the areas of the ground level have direct access to the pool with spectacular views from the large bay windows. 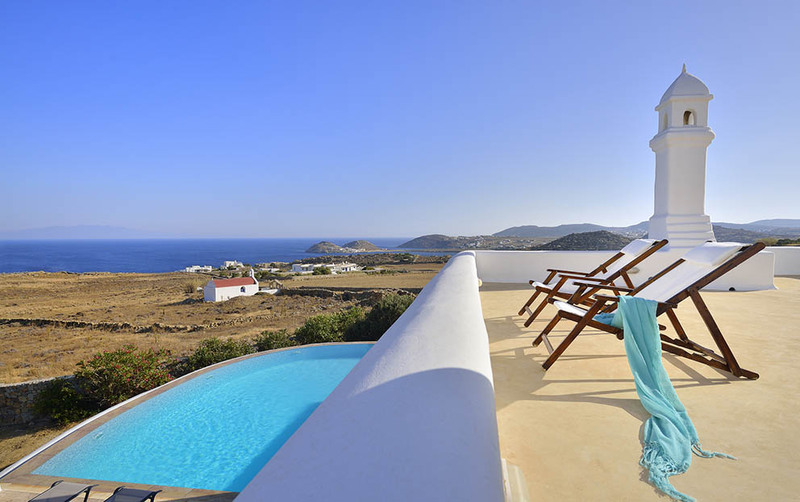 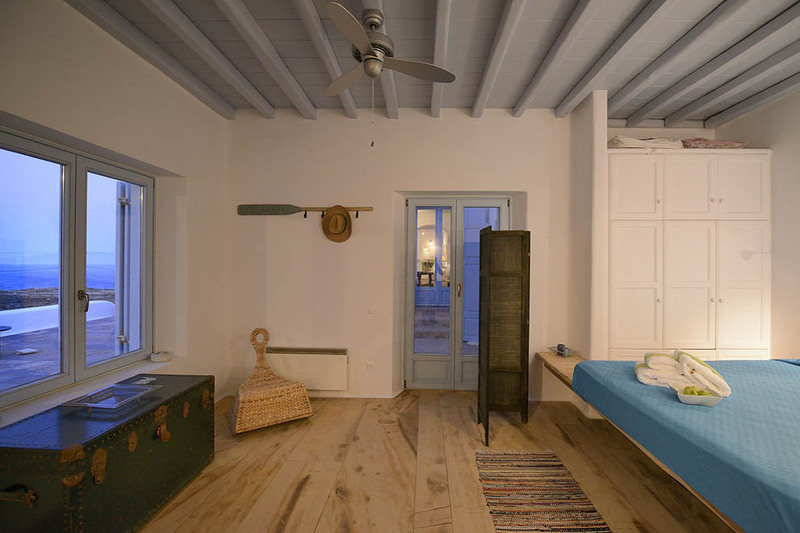 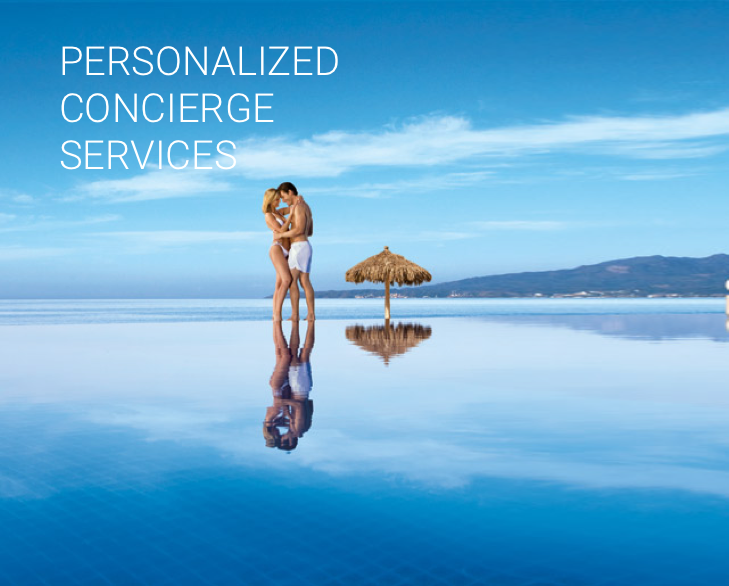 Master bedrooms with en suite bathrooms walk in closets and private roof terrace with spectacular view of the Aegean Blue to the upper level. 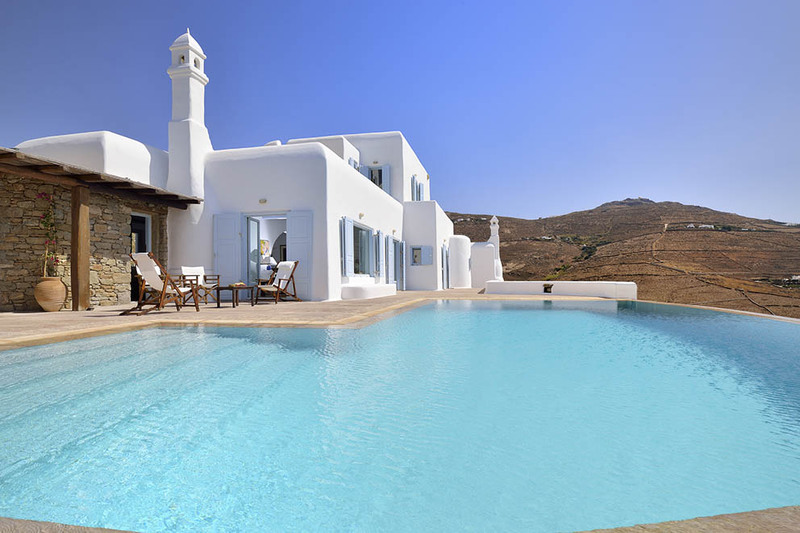 Villa Element is also combined with two detached guest apartments, offering independent privacy for two more guests each one and both featuring a large private veranda overlooking the breathtaking views and sunsets. 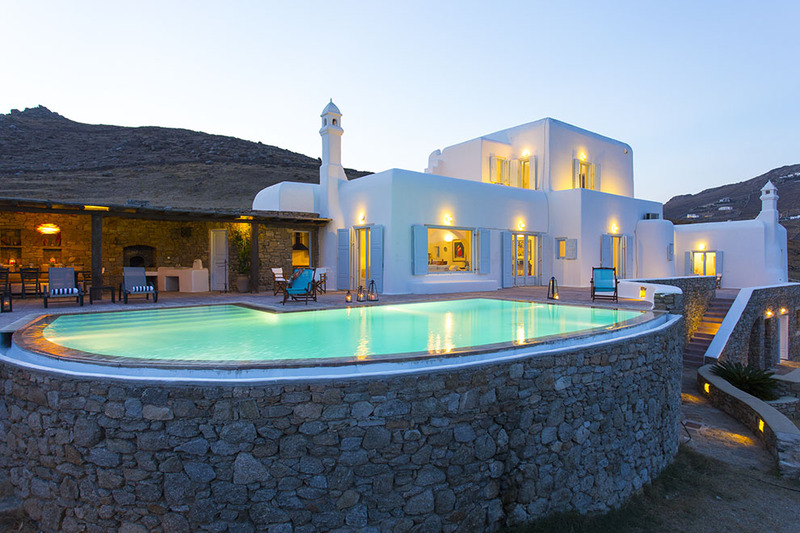 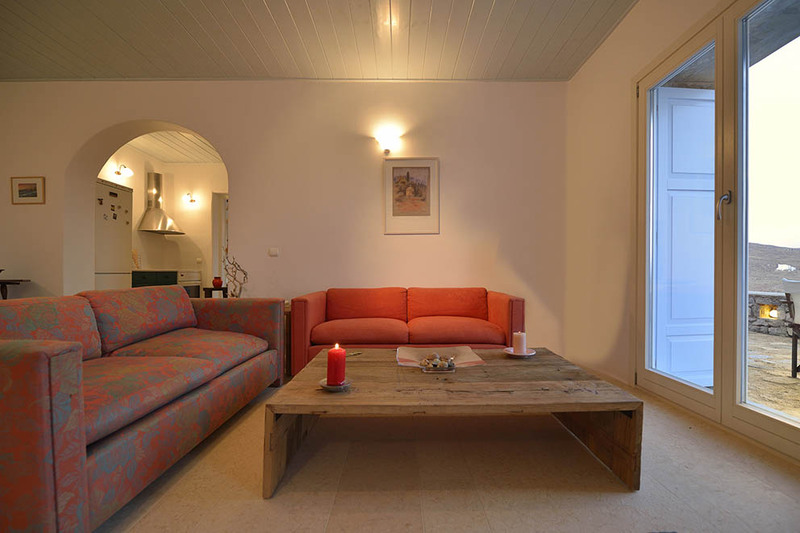 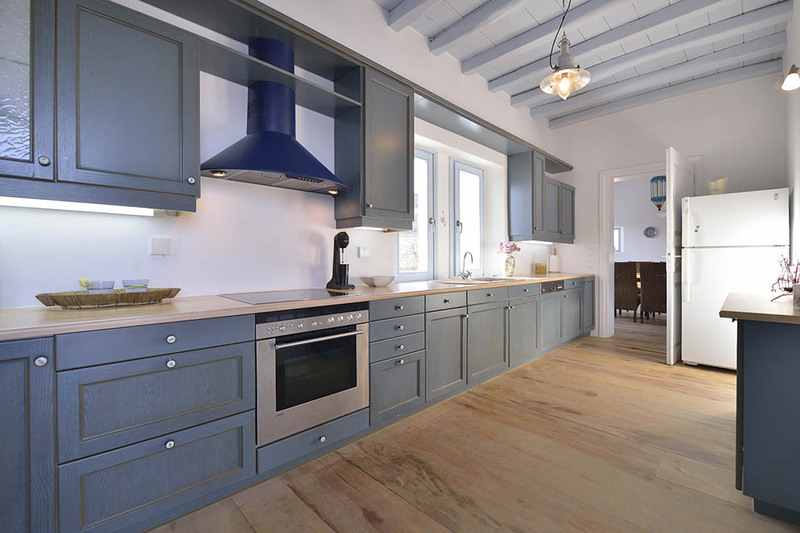 Live the experience of Villa Element as its ideal for families and group of friends, enjoying confront and wellness combined with luxury and easy escapes to the amazing cosmopolitan beaches and Chora of Mykonos.